Estacada loves cyclists. Case in point: our bike racks are all literally works of art. Visit the Estacada Bike Plaza, located just outside of the Estacada City Building on Highway 224, and check out our mobile interactive map, fill your water bottles, use the repair station, rest and refresh. 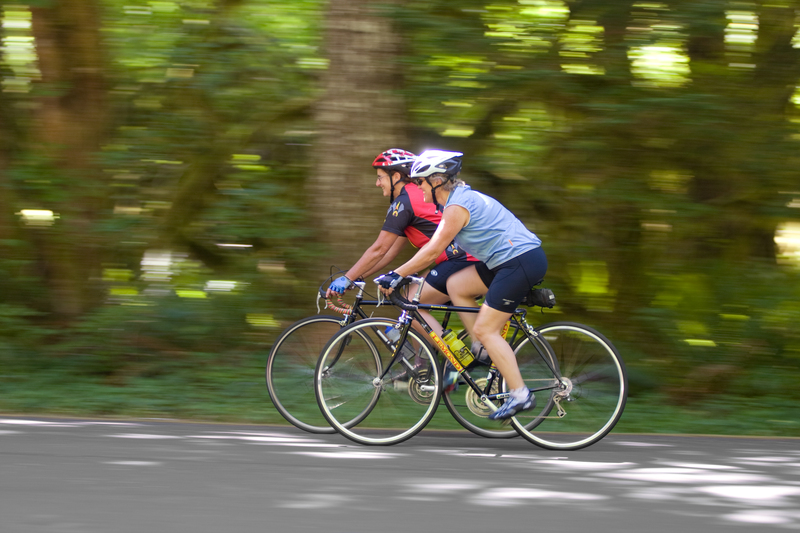 No matter what your preference is—a road bike or a mountain bike—there are fun cycling adventures to discover around Estacada. Outside Estacada, heading east about a half mile, is Faraday Road, a PGE access road converted to bike/ped-only use (plus the occasional PGE service vehicle). It’s 3.5 miles of car-free, quiet, river and wooded scenery. Enjoy the sounds of the forest and rushing water, and watch returning salmon climb the fish ladder. Welcome to Oregon’s Newest Designated Bikeway! The Cascading Rivers Bikeway follows the woven Clackamas and Breitenbush Rivers in a 70-mile link from Estacada to Detroit, Oregon. Water is the dominant force that sculpts this steep volcanic landscape of the West Cascades. All along this route, water and rock interact to create a place of dramatic beauty and inspiration. Rivers, rapids, waterfalls, hot springs and lakes captivate and guide the rider. Time is forgotten as a rider looks up to the sky through ancient forests that line the bikeway. Riders may experience glimpses of elk and grouse or rest along the route to a symphony of forest songbirds. 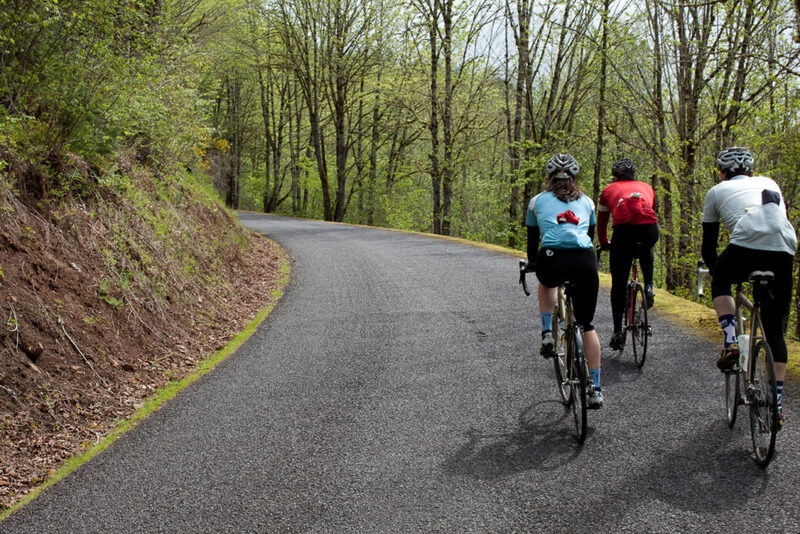 Experienced riders who seek a challenge will love this 70-mile one-way route of forested splendor paired with a 3,125 foot climb from Estacada and 1,985 foot climb from Detroit. A shorter family-friendly ride is available from Estacada on Faraday Road, which is closed to motor vehicles. The bikeway parallels the nationally designated Wild and Scenic Clackamas River along rocky riffles, quiet pools where native Coho, Chinook and Steelhead seek their ancient spawning beds. Vistas of Mt Hood and Mt Jefferson smile down upon the exploring cyclist. This route is closed during late fall and winter due to snow. Remove the stresses of civilization with a walk through the towns of Estacada or Detroit that anchor either side of the bikeway. Both are full service towns with many options for eating and situated on tranquil waters. Each town is distinctly different but similarly rooted in its historical attachments to water, mountains and forests.